I had a great conversation with a coworker recently about how to deal with constant interruptions. You know what I mean: those days when the moment you hang up the phone it rings again, and all the while your red-exclamation-point emails are piling up, and people are lined up at your door looking worried… it can seem like a conspiracy. 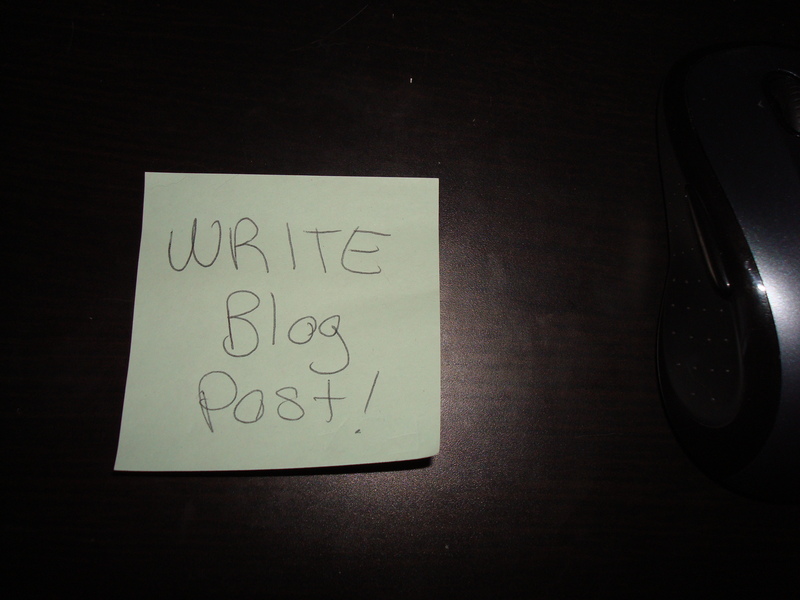 On those days, I take the top thing on my to-do list, write it in large letters on a post-it note, and stick it right in the middle of my desk. That way when (if) there’s a moment between distractions, I don’t waste a moment trying to remember what the heck I was trying to do. It’s right there. It’s also extremely satisfying to crumple up and chuck the post-it into the recycling when I finally finish with it!